If we asked you about the history of Samoa, or any of their cultural practices, how would you respond? For most readers, the answer would be absolutely nothing. That’s because few people have gotten to experience the unique culture of Samoa and all of its astounding diversity. This is partly because of the minute size of the island, and its protection from outside influences and culture. But, also, that is because Samoan culture has been misrepresented in the popular media as just another ‘tribal’ culture- but its so much more than that. Its rich historical background tells the tale of a proud people with a deep, dynamic and all pervasive culture that shapes and guides life on the island. There is much to be learned from Samoan culture, especially in today’s world of fast-paced living and rapidly changing social and cultural values. A description of the complexity of Samoan culture would fill library shelves, but below you will find a quick taste of the Samoan way. Enjoy! The unique and intriguing Samoan culture we experience today is actually more than 3000 years old, and has been preserved by the isolation of the tiny island on which it was born. The guiding principle of this amazing culture is Fa’a Samoa (which means the Samoan Way), which is a complex cultural code that guides and teaches individuals on how to lead their life and attain happiness. Among the preeminent values of Fa’a Samoa are respect for the environment, a close-knit family and community structure, and adherence to other traditional values. Interestingly, Christian values brought to the island in the 19th century have been seamlessly integrated into Fa’a Samoa. Although there are so many exciting,fun cultural traditions and unique ceremonies, the next two facts outline cultural areas that are especially important to Samoan culture, and that you probably don’t know about. Traditionally called Tatua, tattooing has long been a beautiful form of culture present on the island. Although the practice was originally created in Fiji, legend has it that two sisters, Taema and Tilifaiga brought the practice to Samoa many thousand years ago where it quickly became an essential part of Fa’a Samoa. These tattoos, rather than exemplifying simple adornments, represent ones faith towards and dedication to the Fa’a Samoa, and are also a sign of status and respect. The Matai are the tribal leaders of Samoa’s many villages. The Matai are responsible for administrative duties of the village, but more so for maintaining the respect of the culture andits traditions. There are two different types of Matai, each with different duties. The first, the Ali’I, is the high chief of the county, village and family, responsible for the most serious aspects of Samoan culture, and are essentially the decision-makers. The Tulafale are the talking chiefs, and are responsible for fulfilling the many oral traditions and duties within Fa’a Samoa. 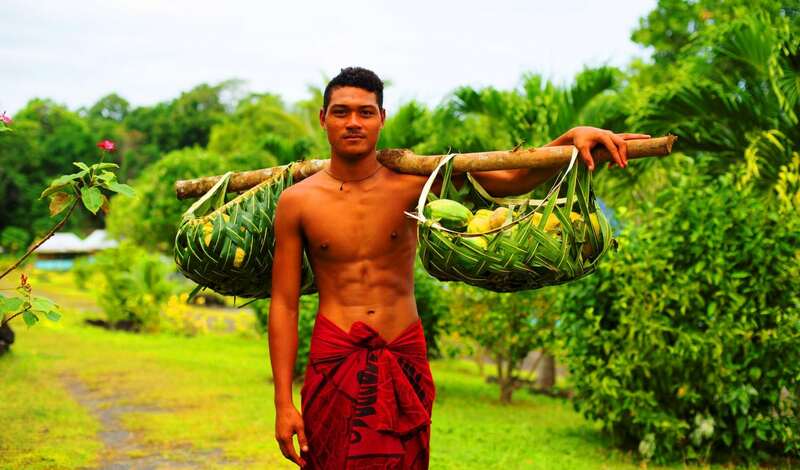 A Samoan becomes the Matai of a village through the process of the Matai System, which is a complex and sophisticated hierarchical system used in Samoan society. Although the nuances of the system are difficult to articulate in a short article such as this, the title of Matai is generally passed down from parent to child, or given based off of a belief that the recipient will best serve the family, village or county.